There are some rather interesting terms in the English language in which we can fall back on, seeing their rather agrarian roots (pardon the pun), and Seed Money happens to be one of them. What if you were to make the term literal? Well, you would have to fork out $8.99 for that to happen, and for less than ten bucks, you will end up with the literal version of Seed Money. 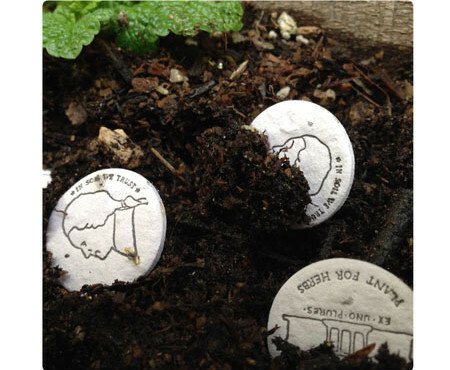 These happen to be letterpress printed paper coins that come embedded with real live seeds, where all that you need to do is to tuck them in soil, provide them with some water, and then bide your time as you watch your investment grow. Pennies actually carry delicate wildflowers, while nickels deliver spritely herbs, with dimes ending up as crunchy root crops while quarters are crispy fresh salad greens.